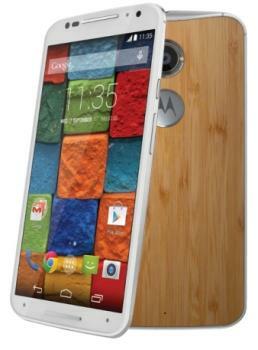 Motorola MOTO X +1 Unlocked 5.2-inch Display 4G Smartphone 2GB RAM 16GB eMMC. Moto X gives you the best software experience possible. That means running the latest version of Android without annoying bloatware or software skins that slow you down. Youll enjoy amazing performance and get a boost in battery life. Not to mention getting updates and new features fast. Moto X is the phone that keeps getting better. Moto X gives you the best voice experience. Create your own custom voice prompt, like Whats up Moto X". You can ask questions, post your status to Facebook, play a video, or send a message through Whatsapp. Moto X responds to your voice, without you having to touch it. Create your own voice prompt, ask questions, or even post your status to Facebook. Your Moto X knows whether youre in a car, in a meeting, or at home, and adapts its behavior and the information it gives you accordingly. Wish your phone could automatically silence your ringer when youre sleeping? It can. Moto X learns your preferences so itll work exactly the way you want. Water is your phones worst enemy. So for extra protection, Moto X has a water repellent coating that protects your phone inside and out. Now, a little rain wont stop you from taking a call. With a 2300 mAh battery, the all-new Moto X is designed to last a full day. Dash to morning meetings. Pick up family or friends after work. Head out for the evening. Use your Moto X exactly the way you want, and never worry about stopping to recharge. Your Moto X uses turbo charging technology to give you a quick burst of battery life when you need it most. All it takes is 15 minutes to get up to 8 additional hours of battery for your phone. Respond to your Moto X with simple gesture without having to touch the phone. Simply wave your hand above the phone to silence calls or alarms. Or launch the camera with just two flicks of your wrist. Your Moto X displays notifications and updates you rely on without disrupting what youre doing. Even when your phone is asleep, information will quietly appear on the screen to tell you what you need to know.